Get your new business of to the best start possible with the right marketing materials! So, you’ve decided to start a business. You know you need the basics like a logo and business cards – but what other marketing assets should you make a priority? Marketing materials can encompass everything from websites and letterheads to social media graphics and promotional videos. If you’re just starting out in the small business world, chances are your budget is probably a little tight – but skimping when you start up can mean unnecessary spending down the road. Think about it: you pick the first business name you think up and print up a bunch of business cards, letterheads, and pens. A few weeks later, you’re hearing from your customers that they can’t remember your business name. Now you’ve confused people, still have to pay for proper branding, and you’ve got to pay to reprint materials you could have gotten right from the start. The good news is that we’re here to tell you what you need it, why you need it, when you need it, and how you get it. We hope this run down of essential marketing materials helps empower you when you’re hiring a graphic designer or marketing agency. Because no physical products come out of this stage of the branding process, it’s often rushed or disregarded – but this is one of the most important stages, and it will influence everything you do from here on out. Your brand values are the set of principles that will dictate every aspect of your business, including the look, messaging, and customer service approach. Values: what does your business stand for? Objectives: where do you want to be in 1, 5, or 10 year’s time? Customer personas: who are your talking to and what do they care about? Tone of voice: how will you talk to your customers? And why? Proposition: what will you do for your customers? And how will you benefit them? Tagline/mission statement: how can your brand’s essence be summed up into as few words as possible? Taking the time to properly develop your brand values will allow you to properly train your workforce and will help you communicate your brand to third parties. We suggest asking your marketing team for a brand book or set of written guidelines that you could hand off to an outside team. Logo usage guidelines: what is the smallest size your primary logo should be printed? What do you do when you can only print your color in one logo? Make sure your designer provides you with guidelines for every situation you might encounter. Font palette: what fonts are you going to use on print, web, and in Microsoft Office? Color Palette: what primary and secondary colors will complement your look, logo ad tone? Graphic elements: anything needed to complete your print and web designs. Sample usage: make sure your designer provides examples of how all these elements will come together to create your signature look. Get to the point: you’ve got a limited time to capture visitors’ attention, so get your message across clearly and effectively on every page. Contemporary: outdated websites make your brand look instantly aged and untrustworthy. Take the time to get your website looking slick, and outsource it to a specialist if you need to. Architecture: once you start adding menus and pages, they can be a right pain to change down the line. To make sure you’ve got a great user experience from the outset, map out your site’s architecture before you start building it. Search engine optimization (SEO): with a reputation for being the cheapest marketing method around, it’s crucial that you build and write your website with SEO at the forefront of your mind. Contact: make your call to actions and contact information crystal clear. Host: choose a content management system that’s reliable. Personally, we would recommend Squarespace – here’s why. Domain: be sure to match your domain name to your business’ name. Did you know, 70% of the US population have at least one social media profile? That’s a whole lot of potential customers to capture. Maintaining social media should be a daily job – if it’s not, you’re not doing it right. We suggest creating a content calendar to stay organized. And, make sure you have a set of templates on hand to save time when you need to create a quick Facebook graphic. Investing in content marketing comes with endless benefits. A well maintained blog boosts your SEO efforts, helps you build backlinks and brand awareness, generates leads, adds brand value, and ups engagement. With good content, you need good images. If you’re not in the position to fork out money for sites like iStock and Shutterstock, consider Unsplash, Pixabay and Pexels for good, free alternatives. Your logo should feature on each and every one of them -- which is why it’s important to have a logo that sits well in different settings, and your brand’s look, feel and tone should be encapsulated too. Remember though, your templates don’t need to be uniform to be consistent. We’ve been carrying on about online a lot -- and rightly so! -- but don’t forget about good old offline advertising. Depending on your industry, things like physical brochures and business cards can be an important asset. Do your research: spending a bit of time selecting a quality printer. Don’t compromise: poor quality paper reflects badly on your business. Don’t rush: if there’s a proofreading mistake that’s your fault there’s no going back -- without throwing money down the drain. Keep it consistent: print materials still needs to mirror your online presence. Think of the bigger picture: think about how you can make print materials evergreen so that you don’t have to reprint regularly. Consider what really needs a date and what could go without one. Get the right amount of copies: you can easily order more, so don’t go print crazy and order 1000s of copies unless you’re absolutely certain they’ll be used. But, you usually get a discount the more you order, so don’t be afraid to print some extras. Getting all your marketing assets together can feel really daunting -- I know, I’ve been there! But here at Hue & Tone Creative, there’s a lot we can help you with. From logo design and letterhead to web design and social media management, get in touch to see how we can support your business’ success. When the term branding enters a conversation, the word logo usually isn’t far behind. The words have become almost synonymous. Of course, branding is more than the creation of a company’s logo. So, what does branding really mean? The term changes definitions depending upon whom you consult. For discussion’s sake, we’ll use the Business Dictionary’s version which states “[branding is] the process involved in creating a unique name and image for a product in the consumers' mind, mainly through advertising campaigns with a consistent theme.” Branding is the personality of a commodity. It’s the feelings and expectations that are connected to goods, services and even people based on lived experience and marketing efforts. Businesses use branding for numerous reasons including attracting new customers, securing loyalties, that result in repeat and longtime patrons, and to differentiate themselves from competitors. If a business is able to accomplish the above list, it’s safe to assume that it’s at least competitive. With effective branding, it may even be positioned well enough to charge more than market rivals. This increase in value is based largely on consumer perception and is referred to as brand equity. Judging a book, product or service by its metaphoric cover can be extremely advantageous for a company when public opinion is favorable. Going back to our working definition that branding is the process involved in creating a unique name and image for a product, person, or service, keep in mind that there are aspects of this cultivation which are entirely controllable. These include, but aren’t limited to, logos, color schemes, public statements, written communications, social media, packaging, websites, and advertisements. Marketing, public relations, and design firms spend their time becoming masters in these areas, so you may consider using a professional here. So often, companies with quality commodities and excellent reputations find themselves in with injured brands do to ill-advised marketing moves. Most people are familiar with the controversial Pepsi campaign starring Kendall Jenner. During a time where clashes between Human Rights protestors and police were constantly in the media and the topic of much debate, Pepsi wanted to weigh in with a message of collaboration. Unfortunately, concerns of police brutality and violent discord were seemingly solved by Jenner handing an officer an ice-cold Pepsi. People were outraged for many reasons. Some felt Pepsi had made too light of serious matters, others railed against Pepsi using a national crisis as a means to sell more soda. Pepsi soon pulled the ad, apologized, and certainly learned from the branding debacle. The lesson here may be to align your brand with matters in the proximity of one’s wheelhouse. Contrarily, one can take a devastating and embarrassing event like infidelity and use it to boost a brand. Beyoncé, upon discovering her famous husband was allegedly unfaithful, created an album cathartically working through her personal issues. Lemonade went on to become the highest-selling individual album of 2016 globally, according to the International Federation of the Phonographic Industry. The admission helped Beyoncé’s brand by reinforcing her image as a smart and incredibly powerful female force. What message do you want your product or service to convey in the public’s mind? What distinguishes your product or service from anything or anyone else on the market? Are you consistently stacking up to public expectation? In what ways (beyond performance) can you demonstrate that you are what you say you are? Are you choosing marketing opportunities and strategies that align with your current brand identity? These questions focus not only on what businesses say and do, but also on how people respond to those messages. In this way, branding is quite interactive. It’s not a business cultivating images of self that customers credulously accept, but a continuous dialogue between consumers and companies. Starting a new business? Don’t dive in without a little help from the creative experts. From business card design and logos, to social media marketing, Hue & Tone Creative can help you connect with your customers and creating a lasting impression. It’s no secret, strong branding is one of the keys to successful marketing. In fact, 69% of marketers insist that branded content is more compelling than advertising through mail or PR. When it comes to newer businesses, understanding your own brand will help set you apart from your more seasoned competitors. If you’re totally new to branding or you're just trying to figure out who "you" are, grab a note pad and answer these five essential questions. 1. What’s your brand story? From years of hard work to happy accident, every company and product gets its start somewhere. How did your brand get its start? Is there a story that’s uniquely yours? Think of ways to share your humble beginnings and make your company memorable. 2. Describe your ideal customer? The most important aspect of opening a business is finding and keeping leads. Taking the time to thoroughly research your target customer will help keep your brand’s aesthetic, feel, and marketing strategies aligned with the wants and needs of your audience. Because no two customers are alike, we recommend creating personas for three different shoppers. Make detailed lists describing their: age, profession, income, hobbies, where they live, likes, dislikes, etc. 3. What 5 words describe your brand? In the early stages of branding, you can never make too make lists! We suggest brainstorming as many words or adjectives that you can think of that define you. When you can’t think of any more, look over the words you came up with and whittle down your list until only the 5 most meaningful words remain. 4. What product or services do you want to be known for? 77% of people choose a product because of its brand name. Think about that statistic the next time you reach for a Post-It or a Band-aid! Like Nike sneakers and Tazo tea, every successful business has a well-known product. When people hear the name of your brand, what will be the first thing they think of? It's important to define your signature product or services... before your customer defines it for you. 5. What brands do your customers love? This can include your direct competitors or brands that are completely unrelated to you. For example, if you’re opening an organic soy candle store, you may have customers that enjoy buying products from Whole Foods, Anthropologie, Etsy, or Earth Fare. Check out what colors, words, and imagery they use to figure out where you'll fit in with your competition. Do you have more branding questions that we didn’t go over? Ask us in the comments! Gearing up for the launch of a new product or business? Don’t dive in without a little help from the creative experts. From business card design and logos, to social media marketing, Hue & Tone Creative can help you connect with your customers and creating a lasting impression. We all want our feed to look like this! Ever stumble across a gorgeous Instagram feed and suddenly come down with a major case of account envy? We’ve all been there. Creating a lust-worthy Instagram account is more than just slapping on a filter and a handful of hashtags. It’s about telling a story and understanding your own unique style. Whether you’re trying to revamp your feed for yourself or your brand, we’ll give you the scoop on how to create an account your followers will love. Found the perfect filter or editing settings? Keep your feed cohesive by using it on your other images. All successful Instagram accounts have something in common. They all have a look. Finding your own theme takes a lot of research and self-discovery, so don’t get discouraged if it takes some time to get your feed where you want it to be. Start by studying your favorite Instagram accounts, creating color stories on Pinterest, or simply writing down a list of adjectives that describe your brand. Think about what emotions you want your followers to feel when they scroll through your feed and brainstorm how you can express that visually. For instance, a feed for a yoga studio could use relaxing colors, natural light, or motivational quotes. An account for a café might use vibrant colors or flat lays of ingredients... Once you get rolling the ideas are endless! After you’ve decided on a style, use that as a guideline for all your future posts. Now that you’ve found your look, keep your interesting by varying what you post. No one wants to follow an account that posts virtually the same images all the time. Still need more examples of what to post? We’ve got even more ideas to help you get inspired. Never post a subpar picture just for the sake of likes. It’s much better to have a small number of great images than hundreds of blah ones. Always post high quality images that reflect your brand’s vibe and overall style. If it doesn’t fit your look, don’t post it. Pro tip: Use a social media scheduler to help you preplan your Instagram content. We recommend giving Buffer or Hootsuite a try! Although Instagram has a huge array of filters to choose from, don’t be afraid to venture outside of the app! There are tons of (mostly free) photo editing apps on the market with beautiful color stories and editing features. Creating a cohesive look takes time so don’t rush the process! Post frequently and try not to overthink it. Running out of ideas on what to post? Can’t seem to increase your number of followers? Take a breather and leave it to the experts. Whether you’re trying to get the word out for an event or are preparing to launch a hot new product, Hue & Tone Creative can help you ramp up likes, retweets, and mentions on all of your social channels. The New Year is all about making positive changes: taking up a new hobby, improving your exercise routine, or embarking on another personal journey. Something else you might want to update? Your logo. As your company’s primary visual symbol, your logo is one of your brand’s most important assets. If you haven’t changed it in a while, here are a few signs it’s time for an upgrade. It was a DIY project. It’s no secret that fledgling businesses are strapped for cash, and it’s not uncommon for startups to hand the logo design to an artistic friend or family member. Now that your business has had a chance to grow a bit, it may be time to enlist the help of a professional graphic designer. A professional designer will have the best skills and experience necessary to create a modern, polished design that can compete in today’s marketplace. It was designed for print media. Ten years ago, company logos were most likely to appear on stationery, in newspapers, and in yellow pages. Nowadays, most consumers are squinting at websites on their phones. If your logo was designed for other times, certain details might not have been taken into consideration. Ask yourself the following questions: is your logo still legible when shrunk to fit a smaller screen? Does it mesh well with your website design, colors, and fonts? Does it still command attention when placed on a web page with competing information? You might also want a logo that makes an appealing mobile app—think of Apple, whose infamous logo doubles as a desktop icon. Your business has evolved. Your logo hasn’t. Almost all businesses grow and change with time, adapting to different marketplace demands. For instance, you may have started a bookstore ten years ago, and expanded to offer coffee and small gift items. Does your logo reflect what you now offer? If not, it may be time for a logo that better represents your current services. It uses dated design trends. 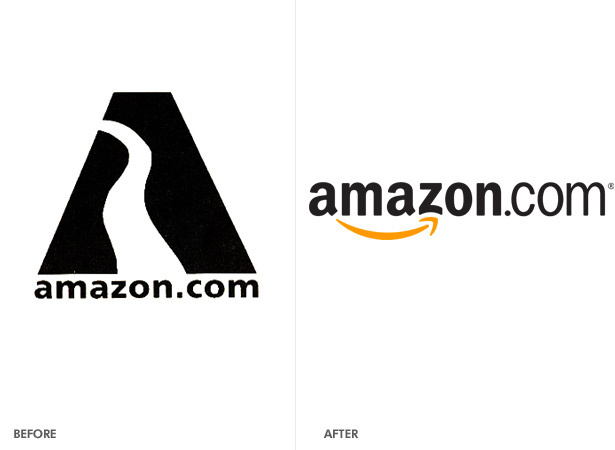 Many graphic design elements which were once extremely popular can now make a logo look dated. Color gradients, drop shadows, and “glossy” buttons are all design features that are—for lack of a better word—so 1990s. If your business is spelled out in Papyrus font or, heaven forbid, Comic Sans, it’s probably time to refresh. Your company has made, or is making, significant changes. Moves, mergers, and acquisitions: there are countless huge changes which can affect businesses. If your company has undergone a huge identity change, a new logo can deliver brand clarification that signifies new, better things are happening for your company. It’s never been changed. Ever. Many business owners worry that once their logo changes, their business will lose its brand recognition. But these concerns never stopped Starbucks, Google, or countless other popular brands from pursuing a change. A skilled graphic designer will be able to keep your brand’s core identity while still polishing the logo for a modern audience. A sleeker, more refined logo will signify to the marketplace that your company is present, relevant, and not afraid to embrace new challenges and new techniques—while retaining the core values that it has always held. Looking for a graphic designer in Greensboro, Winston Salem or the surrounding areas? Hue & Tone is a creative graphic design agency specializing in logo design, web design, social media management, and more. Be sure to check out our design portfolio to see clients we’ve helped in the past, and give us a call if you’d like us to build you a custom, modern logo that truly tells your story. We are living in the Golden Age of social media. Today, you can post a picture of your artisan avocado toast on Instagram, pin your imaginary dream wedding, or simply tweet about whatever random thing your cat just did. Although these things can seem silly, social media is incredibly powerful if used the right way. Utilizing social media is especially fantastic for brands -- you can reach audiences around the world or just expand your reach locally. Before you start posting, it is crucial to have a clear sense of your brand. Is your look sleek, modern, and polished? Are you bold, artistic, and experimental? Taking the time to research and understand who you are as a brand allows you create a look that is entirely your own. If you’re feeling a little stumped a mood board is a great way to start your research. Use Pinterest, Photoshop, or even a paper collage to gather whatever images speak to your brand. Anytime you feel lost for inspiration, go back to your mood board as a reminder of what your brand represents. In addition to color, your brands choice of fonts and lettering are also important. Anthropologie often uses fonts that look handwritten to capture the whimsy of their merchandise. Alternatively, Target uses clean minimalistic lettering that pairs well with the brand’s simple and crisp aesthetic. Along with ready to use filters, adjusting your brightness and saturation can make your images more eye catching. Bright clean images with bold pops of color are perfect for brands with a youthful and playful aesthetic. Muted colors with strong saturated hues work well for brands with a modern sophisticated style. Although filters are fun to use, you don’t want your social media accounts to look like a confused medley of styles. Pick a look and stick to it. It’s easy to obsess about achieving perfection, but it’s ok to mess up. You might discover a filter you like better or find some unexpected inspiration. Growing, learning, and evolving is much more valuable than staying predictable and stagnant. Have fun and don’t be afraid! Last week we covered how to create a brand that stands out to consumers. This second installment in our 'Beyond the Logo' series maps out where you need to go after nailing down your logo. Once you’ve established your brand, there’s still a lot to do to ensure success. Now that your brand is ready to go, it’s time to get it out there. For the sake of this blog, let’s assume you or your designer has narrowed down your logo, symbols, colors, fonts, etc...so, now that that's handled, it’s time to firm up how you’re going to use these elements. First things first, you need to develop a brand guide. By testing out the colors, patterns, and other design elements you’ve selected, you’ll be able see how they work in real life. Getting your brand guidelines in place before you start finalizing your collateral will save a ton of time and money in the long run. Your brand guide should cover how you utilize all the colors, icons, and how the different brand elements interact with each other. This development stage is also a great time to test out your logo on different types of collateral (and make any tweaks if necessary). No matter what the medium, all of your brand elements should work together to create a consistent but interesting look. With all your visual elements in place, it’s time to apply your brand identity to all of the necessary collateral. If you’re tempted to stagger your brand release to save money, think again. While it may seem tempting to do things like use up the old stationary before ordering the new one, it weakens your new message, and may confuse customers. Once you’ve got everything branded -- it’s time to get your team up to speed. Managing your assets requires every player of your team to commit to your brand -- they need to be in it for the long haul if you want to continually convince customers of who you are. The makeup of your company will greatly influence how you disperse your message. High level documents like a branding brief will work well to share your new identity with your marketing team. However, customer facing workers or people in sales positions will mostly likely benefit more from handbooks or documents that explain only the elements of the rebrand that are pertinent to them. Finally, you’re ready to launch your brand to the public. There’s no one size fits all way to get your brand out there. Your goals will influence the appropriate course of action -- from social media campaigns to full out launches there’s a variety of ways to introduce your new brand. You’ll need to work with your creative team to determine what’s appropriate for your company and budget. Keep in mind that what we just covered in this post can takes months to develop. Branding is a long process -- and it's a process that every ad agency handles differently. While we're a big fan of our own branding process, we know that it isn't going to work for everyone. If you're considering a rebrand we always recommend taking the time to meet with different agencies and learn about their process. Find someone that not only works for your budget, but is a great fit for your team! Have questions? 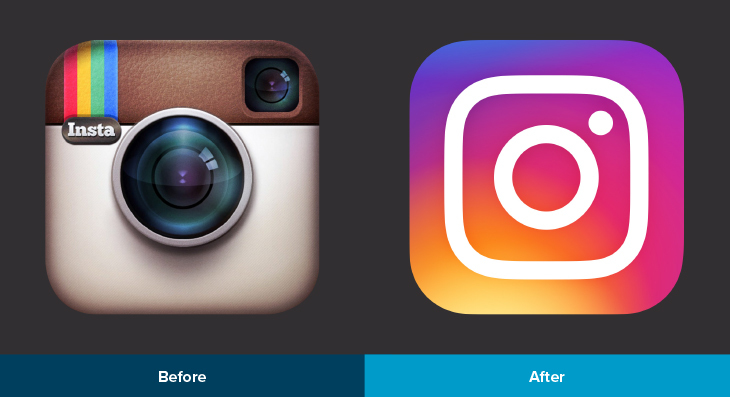 Ready to get your rebrand started? Get in touch with us at 336-365-8559 or hannah@hueandtonecreative.com. If you work near or around people who do marketing you’ve probably heard that there’s “more to a brand than just the logo.” We’re here to tell you it’s true -- and to try to help explain what exactly all that other stuff that makes up a brand is (beside the logo, of course). In a saturated marketplace, there’s a few feelings that can sway a potential customer. That’s where branding comes in -- good branding equates to money in your pocket when it causes a potential customer to choose your product over the competition’s. A good brand sells the superiority of a product, creates an emotional connection, and (over time) results in loyalty. Good brands speak in a unified voice and stay on message. The only way to stay on message is to determine what your message is. This post will give you an idea of what your brand should be looking to accomplish -- or maybe it will give you some keywords you should be looking to hear from an agency you potentially want to partner with. Branding isn’t a process we suggest you try to do yourself -- a good brand is based on research, effectively tested out, and has a clear strategy. It’s also well designed and maintained. That’s a lot to take on, especially for new business owners. Below are the basics of what you want your brand to communicate. To be clear, you shouldn’t just ask yourself “What’s my vision?” -- these values should be defined by comprehensive research. From there, things like the tagline, brand hierarchy, and strategy can be developed. Vision: The vision behind a brand is the basis for success. Whether it’s a unique product, an enthusiastic leader, or an innovative idea, a strong vision is key to having a product that can make it’s own way in the marketplace. Authenticity: Authenticity isn’t about being the first to ever do something - it’s about staying true to who you are. In order to communicate authentically with your customers you need to have clarity about where you fit in the market and what sets you apart. Differentiation: Regardless of if you have an innovative business model, you need to be prepared to stand out from the crowd. Not only are you competing for the attention of similar services, but you’re also competing for a small slice of your customers limited attention. Every potential client or customer only has so much time to give -- and you need to get yourself some of it. Consistency: The best brands stay on message no matter what. Even in something as small as a tweet, using a consistent vocabulary and on-brand images are key to presenting a unified message. Flexible: As you develop new products or services, or the demographic you serve shifts you have to be ready and willing to alter your brand. That doesn’t mean starting from scratch (ever), or overreacting to a small change in your business. It’s about being agile when big changes come your way. And flexibility is an important thing to work into your visual brand guidelines. Valuable: Creating value is part of you retain customers. Value can be demonstrated in a number of ways - from quality products to a socially responsible business model. It’s what you stand for as a company -- and it’s yet another way for customers to relate to you. Coherent: No matter where they’re interacting with your brand, a customer should get a familiar feeling from whatever they interact with. Everything should go together -- in a loose, approachable way. Unique: Self-explanatory, but the most important. Never waste your time trying to replicate someone else’s success. Figure out why you stand apart -- and if you can’t figure out why, maybe you shouldn’t be in business. It’s important to remember that every good business is unique, and the first key to successful branding is simply identifying all of the characteristics that make you stand out from the crowd. Once you do that, you (or whoever you hire) can mold your messaging and craft stunning visuals. Next week, we’ll be going over where and how you should make your brand work for you out in the wild. Not exactly to the branding stage yet? We’ve also got a guide to help you name your business.